Witness the spectacular beauty of the deep in Discovery Bay: United Healthcare Marine Education Center. Over 1.1 million gallons of water provide a home for sharks, rays and other marine life. Guests can actually touch sharks, sea stars, and sea anemones in an interactive estuary and tide pool. Marvel at the majestic 6 foot sharks that skim past your face in search of their next meal. 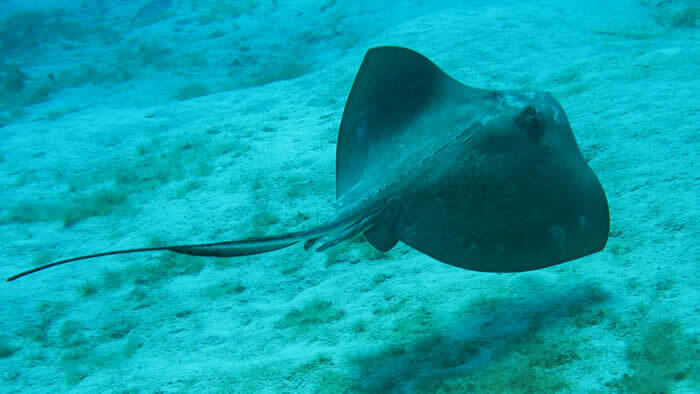 Study the grace and beauty of giant stingrays as they virtually fly through the water. The Minnesota Zoo’s 218,000 gallon Shark Reef exhibit in Discovery Bay is an incredible undersea world filled with a dizzying array of colorful coral and unusual tropical fish.